At the factory all went on as before, the equipment had been rebuilt for steam and it was going well. Only our living quarters were still the same – not satisfactory. I was planning and suggested that a second floor could be put above the factory for a flat. At that time the materials for building or adding to milk factories were possible to get. 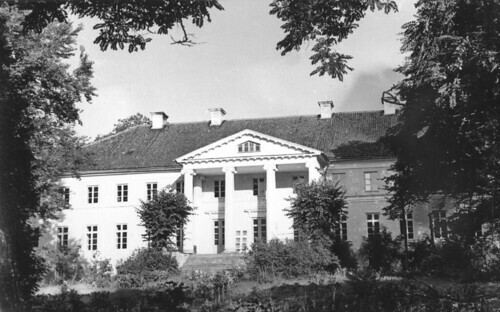 I knew Kuldiga, the district building inspector, and invited him to the factory to have a look. He checked the existing walls on the lower floor which were made of stone, about one meter thick. He decided that they were strong enough to support the upper floor, and he himself did the sketch and promised to draw up the plans which contained a room at each end of the roof, a bedroom, a living room and a kitchen in the middle. I also managed to get all the materials myself. I went to the cement factory and saw the manager bringing him two kilograms of butter as a present (at that time all business was done this way by seeing the appropriate person on a one-to-one basis). He put the butter in his desk drawer and wrote an official order at the current price for cement. That was also how all the other materials and tradesmen were organised. 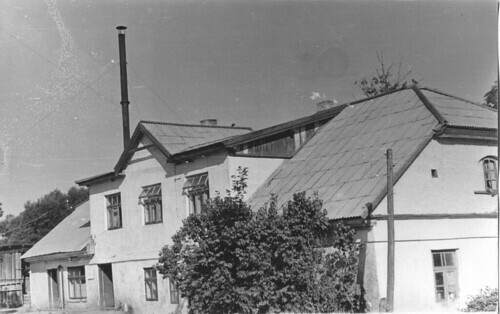 The work went on very quickly and for 40-50 kilograms of butter and some thousands of worthless German money (I knew that after a war money became worthless, that has always happened) the factory gained a great increase in value.